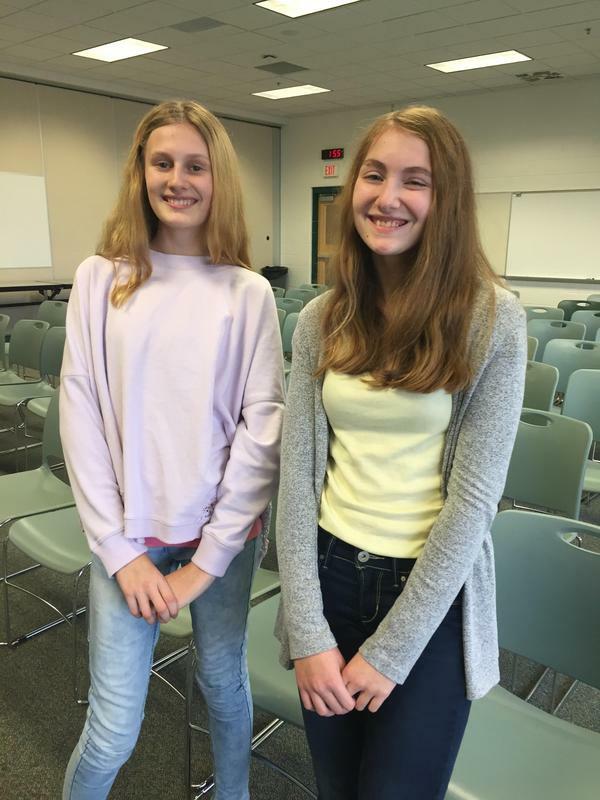 TKMS 8th graders Kate Baldry and Cameron Phillips won the middle school spelling bee honors and will represent the school at the regional spelling bee. Baldry won the competition on the word "Auf Wiedersehen." Other grade-level winners at the TKMS spelling bee were Colton (Cash) Rabley in first place for 7th grade with Shelby Robinett as runner-up; Cole Novak in first place for 6th grade with Kennedy Kimmel and Mason Beard as runners-up.